Matt Damon bought a zoo, Netflix bought a cinema, Apple bought Oprah and Disney bought everything else. Entertainment streaming is now a business and creative feeding frenzy. Truth be told though, there is only one streaming service that most movie and TV fans are getting really excited about. Now we know when and how much. 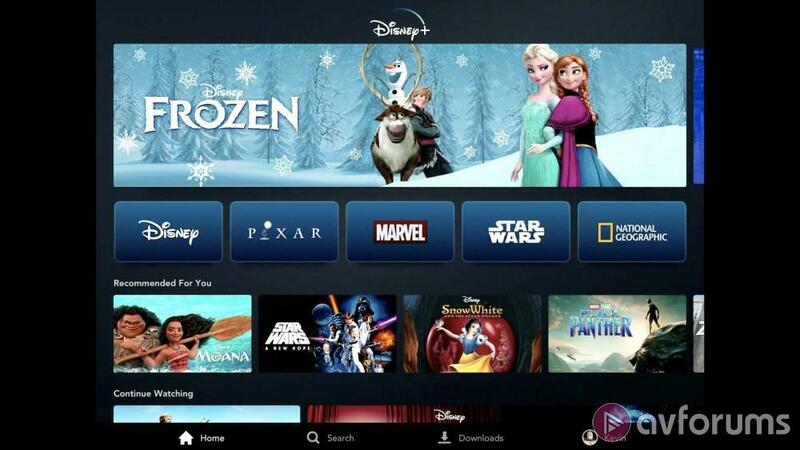 Disney’s new streaming service, Disney+ will launch on November 12th 2019 is the US, followed by rollouts across Western Europe and parts of Asia in the remaining months of 2019 and into the first part of 2020. Eastern Europe and Latin America will obtain the service later on 2020. The price at launch will be $6.99 per month, though there’s no word of whether this is part of a tiered pricing structure. A slightly more cost effective annual payment of $70 is an option too and this puts Disney+ in a very competitive position compared to established streaming services like Netflix and Amazon. Moreover, there will be support for 4K HDR playback, though which formats are supported hasn’t been specified - Disney currently favours Dolby Vision. The service will be available on games consoles, streaming media players and smart TVs, though few details were confirmed - Roku and PS4 were named but presumably deals on other platforms are still being struck. One thing that has been confirmed though is there will be plenty of content available for offline viewing. Additionally, the service will be ad free. Choosing the rather stuffy setting of an investor’s meeting, the complete antithesis of Apple’s glitzy but cloying announcement for Apple TV+, Disney chairman Bob Iger and his team presented their comprehensive direct-to-consumer strategy, which also includes their plans for Hulu, Hotstar and ESPN+. Also making presentations were the likes of: Marvel Studios’ mastermind, Kevin Feige; Pete Docter from Pixar Animation Studios; Kathleen Kennedy, president of Lucasfilm and Jon Favreau who is writing and directing The Manadorian. New content plays a huge role in attracting consumers and Disney+ will be showcasing 25 original series and 10 new films, documentaries and specials. By year 5, this will have risen to over 50 original series on the back of $1 billion investment in exclusive content, rising to $2.5 billion by 2024. The Falcon and The Winter Soldier live-action series with Anthony Mackie and Sebastian Stan reprising their roles as the titular heroes. WandaVision live-action series with Elizabeth Olsen and Paul Bettany returning as Wanda Maximoff and The Vision. Marvel’s What If…?, the first animated series from Marvel Studios, taking inspiration from the comic books of the same name. Each episode will explore a pivotal moment from the Marvel Cinematic Universe and turn it on its head, leading the audience into uncharted territory, including a confirmed story where Peggy Cater gets the super-soldier serum instead of Steve Rogers. Toy Story-based projects, 'Forky Asks a Question' animated short series and 'Lamp Life' short film. The World According to Jeff Goldblum documentary series where Jeff pulls back the curtain on a seemingly familiar object to reveal a world of astonishing connections, fascinating science, and a whole lot of big ideas. Possibly accompanied by weird jazz piano tinklings. Magic of the Animal Kingdom documentary series which takes viewers behind the scenes with the highly respected animal-care experts, veterinarians, and biologists at Disney’s Animal Kingdom and Epcot’s SeaBase aquarium. "Phineas and Ferb Movie” (working title) animated film featuring many of the original voice cast. Plus, previously announced shows such as: The Mandalorian; Star Wars - The Clone Wars; the untitled Cassian Andor series starring Diego Luna and Alan Tudyk - all based on the Star Wars universe; High School Musical - The Series; Marvel Studios’ Loki, starring Tom Hiddleston; and the live-action film of Lady and the Tramp plus plenty of nonfiction series such as Be Our Chef and Cinema Relics: Iconic Art of the Movies. Despite Disney’s fiercely protected family-friendly viewing ethos, the Simpsons will now be paraded as a Disney+ streaming exclusive with all 30 seasons available from launch. One hopes the writers will take their task of sneaking in subversive gags about their employer just as seriously as they did with Fox, though it remains to be seen just how Deadpool will respond to Sister Margaret’s School for Wayward Children having a new landlord. 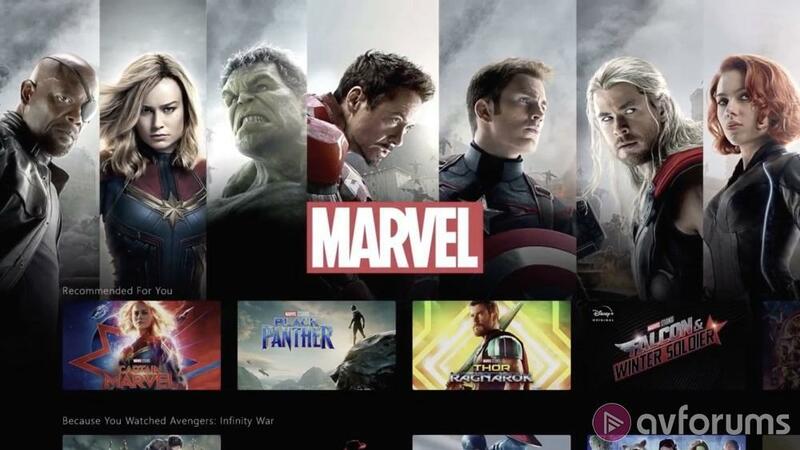 It was also reported that at some point in the future, Disney is "likely" to start bundling Disney+, Hulu and ESPN+. In the future, it could be Hulu that offers content that does not belong on the family-friendly Disney+ service so perhaps the Merc With The Mouth will find a home here.